If you own or lease some hunting ground, it’s time to get your hands dirty. The better you plan, build and maintain food plots over the next several months, the more deer you’ll attract and hold on your land come September. Here’s a 12-pack of pointers to help you do it. On an aerial map, look for strips and pockets of open ground toward the interior of your property that you can turn into ½-acre plots. “Inside” planting keeps your plots—and the bucks they will attract–away from roads and the neighbors’ fence lines. Also, the closer you build a plot to thick bedding cover the better your chances that a mature 8- or 10-pointer will pop out into the plot to grab a bite one evening this fall. And think back to past hunts on the land. 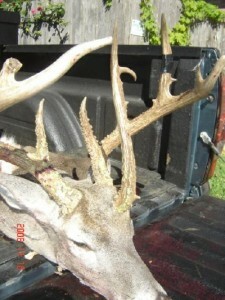 Whitetails are habitual animals that come and go in the same places from year to year. Where have you seen the most deer and found the found the most trails, rubs and scrapes over the years? 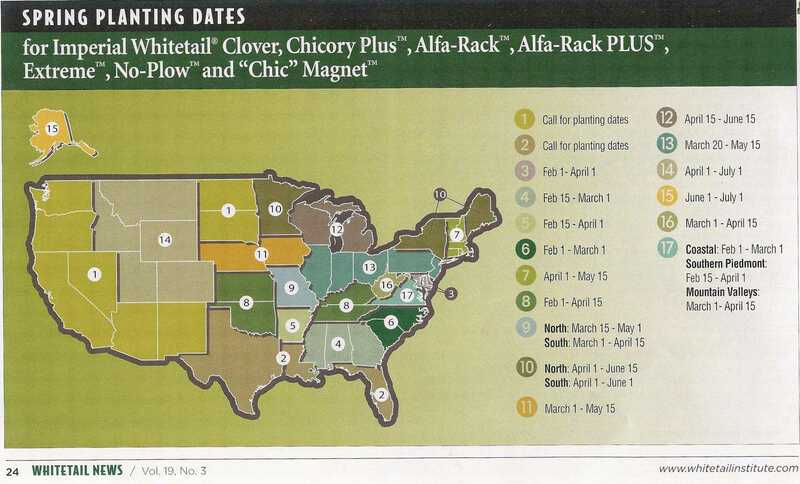 Plant your plots in and around areas of established deer traffic. Rather than trying to plant and maintain 3- to 5-acre fields like deer managers did the old days, it’s better for the average hunter (you and me) to scatter 5 to 10 smaller plots across your land. Green strips and pockets of ¼- to one-acre are easier (and cheaper) to plant, maintain and hunt. Small plots are all the rage with the best deer biologists/managers these days. Is your land crossed with old logging roads? If so, you’ve got a great opportunity. Clear, disc and plant 300- to 1,000-yard strips of wood roads with clover, which will provide tons of feed for the deer. Since the roads are already open, it’s an easy way to feed and attract deer. I can’t stress enough the importance of a soil test before you plant a single seed. Dig 5 or 6 six cups of dirt from various spots around a plot area, mix well in a bucket and come up with one representative soil sample. Have it tested at your county extension office or a seed company for recommendations on liming and fertilizing. Bonus tip: Ideally your dirt would have a pH level of 7, or neutral. But usually it’ll test 4 to 6. Keep in mind that it takes a ton of lime per acre to raise the pH one point, and it takes lime months to work most efficiently. Plan well ahead of time. For more than two decades wildlife habitat expert Neil Dougherty has experimented with food plots across the Northeast. After evaluating more than 1,000 test plots he’s found that planting a 60/40 mix of perennial clover like Imperial Whitetail Clover and chicory in late spring is best. By mid-May the clover, which has 30% to 35% protein, is producing major tonnage, and the chicory (40% to 44% protein) kicks in soon thereafter to provide a steady food source for lactating does and bucks putting on new antlers. I have lived in and hunted across the Mid-Atlantic all my life, and I have experimented with lots of seeds and blends in this region. Good old Ladino clover, which you can plant most anywhere there’s adequate soil moisture and sunlight, is still hard to beat here, and in most places. Ladino clover is a high-quality perennial (about 25% protein) that, once you plant it, will last for 5 years and can be easily over-seeded from time to time. It is low-maintenance, and that’s important because many hunters don’t have a lot of time and money to put into plots year after year. Here’s a trick I learned from fellow Virginia hunter Jim Crumley. 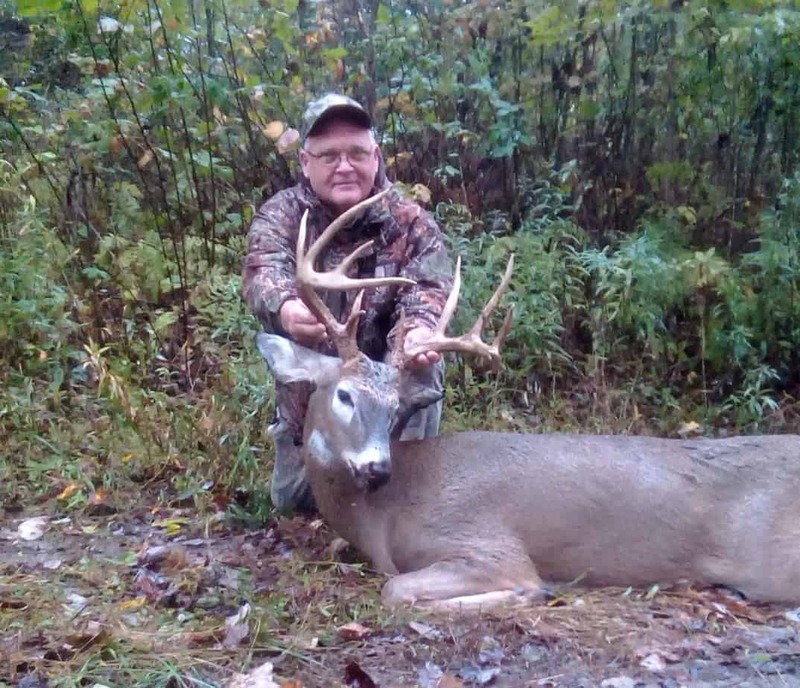 Jim created Trebark Camouflage back in the 1980s, and now his obsession is growing and holding bucks on his farm. Jim clears, works and then plants a 10-yard-wide by 100-yard-long strip of clover…he leaves a 20-yard strip of natural vegetation like blackberry or honeysuckle beside it…then clears and plants another strip of clover…leaves another strip of native growth beside that and so on, until he has a one- or two-acre field full strip planted. 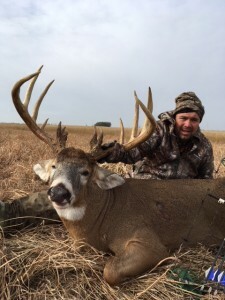 “You have a smorgasbord to attract deer year-round, and the strips of native growth provide not only browse but also edge and cover for bucks,” he says. Here’s a killer strategy for the Midwest, say from Michigan to Ohio to Missouri. In late April or May, plant a couple of 2- to 4-acre fields with soybeans. (If you don’t have the equipment for the big job, it pays to hire a local farmer to do the work.) 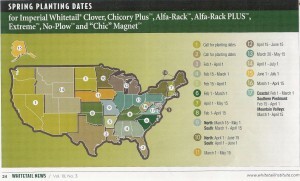 In August to mid-September come back and plant a 20- to 25-yard strip of Buck Forage Oats all the way around the beans. With rain, the lush, green oats will pop up and attract deer during the October bow season, and the soybeans, which contain 20% to 25% protein, are a great food source for Midwestern deer from November to January. All plots no matter the size should be treated with a herbicide to control unwanted grasses and weeds. Spray plots when weeds are four to 12 inches tall. Your local farm co-op can recommend a good herbicide and click here to see some great info from the QDMA.